We're unearthing all kinds of Millie dirt tonight on Silents and Talkies! 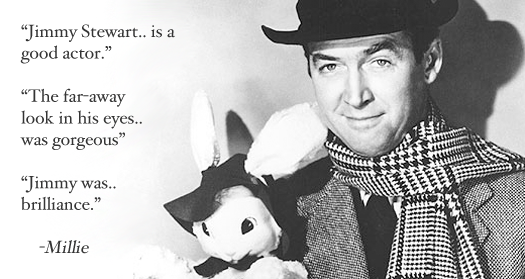 After some diligent research, we've just discovered these startling quotes from the internet's most fervent James Stewart opponent! Who knows what other secrets lie lurking beneath the mind-smushing brilliance of Classic Forever! ?